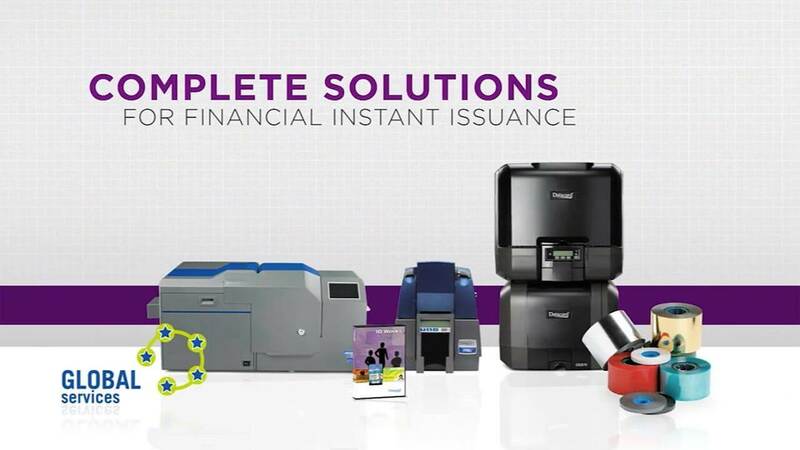 Protect cardholder data and instantly issue cards with Entrust Datacard® software solutions. From entry-level ID badges to secure payment cards, our easy-to-use software fit virtually any card issuance environment. Datacard® Adaptive Issuance™ Chip Interface Software allows for the management of personalization smart card applications on a central server. Datacard® Adaptive Issuance™ Data Access provides a platform to execute custom applications that access and act on the production data of a Central Issuance system. Datacard® Adaptive Issuance™ Job Enable provides an interface to automate tasks, reduce operator intervention and streamline issuance operations. Datacard® Adaptive Issuance™ Remote Monitoring and Management software brings automated data-gathering and powerful insights to your fleet of devices. Datacard® ID Works® Visitor Manager software registers guests with a single scan of a government-approved credential, such as a driver’s license or passport. Datacard® CardWizard® issuance software is the world’s best-selling instant issuance solution for Visa® and MasterCard® credit and debit cards. Datacard® IDCentre™ identification software helps accelerate production and promote security while ensuring quality and efficiency in your ID card program. Datacard® Secura™ identity & credential management software revolutionizes the issuance and post-issuance management of highly secure passports, national IDs and PIV cards. Datacard® Syntera® manufacturing efficiency software enables complete control over the data that drives card issuance operations. Datacard® System Simulator software replicates the controller software of four high-volume Datacard systems, allowing issuers to work offline. Entrust Datacard™ TruCredential Software is a flexible solution that integrates with existing databases to provide an easy-to-use card design, issuance and management system.